Want to ride around Zilker Park and Town Lake (known as Lady Bird Lake to the latecomers)? 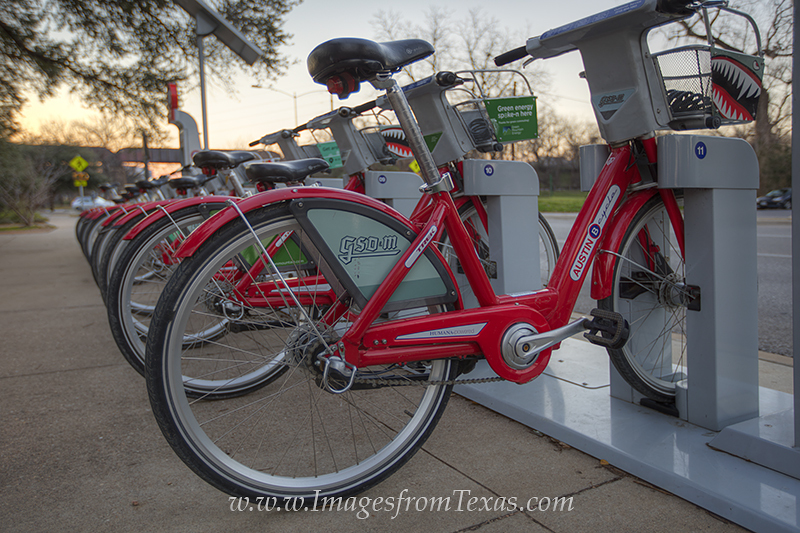 Rental Bikes such as these are available in many locations around this park as well as Austin, Texas, in general. Photo © copyright by Rob Greebon.